You will notice over the next few months that Worcester Chiropractic Clinic is undergoing a complete refurbishment. We have scheduled this refurbishment to minimise disruption to the clinic, however, should you notice any effect please accept our apologies. We will endeavour to finish works as quickly as possible. 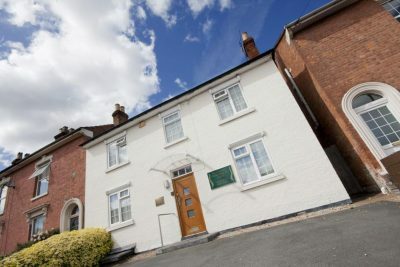 Our Worcester Clinic is located in an old Victorian building, dating from around 1880. As you would expect, it is showing some of the effects of age with some drain problems and damp. It is also very poorly insulated. Severn Trent will be carrying out repairs to the drains running alongside our clinic towards Bromyard Road throughout November. This may result in some noise and possibly the loss of our parking space outside of the clinic. Fortunately, patients can still park behind Bromyard Road Methodist Church opposite the clinic. Following drain repairs, sections of the building will be being repointed and painted. This will require the use of a scaffolding tower and the parking space at the front of the clinic. Whilst this is going on we will be installing loft and cellar insulation, using wool and recycled newspaper. This is a fantastically efficient and eco-friendly alternative to synthetic insulation materials. Once the clinic exterior has been refurbished, will be replastering and painting the interior. There is no doubt that this is going to be a messy job. We hope that by completing this task one room at a time the disruption can be kept to a minimum. We hope to be able to keep to our normal opening hours throughout this process. If you have any ideas or suggestions of things you would like to see as part of this refurbishment, please contact us. I had suffered with a sore neck/shoulders and painful hips for several years; I am a regular runner and found that it was impacting on my enjoyment and ability to... read more run.